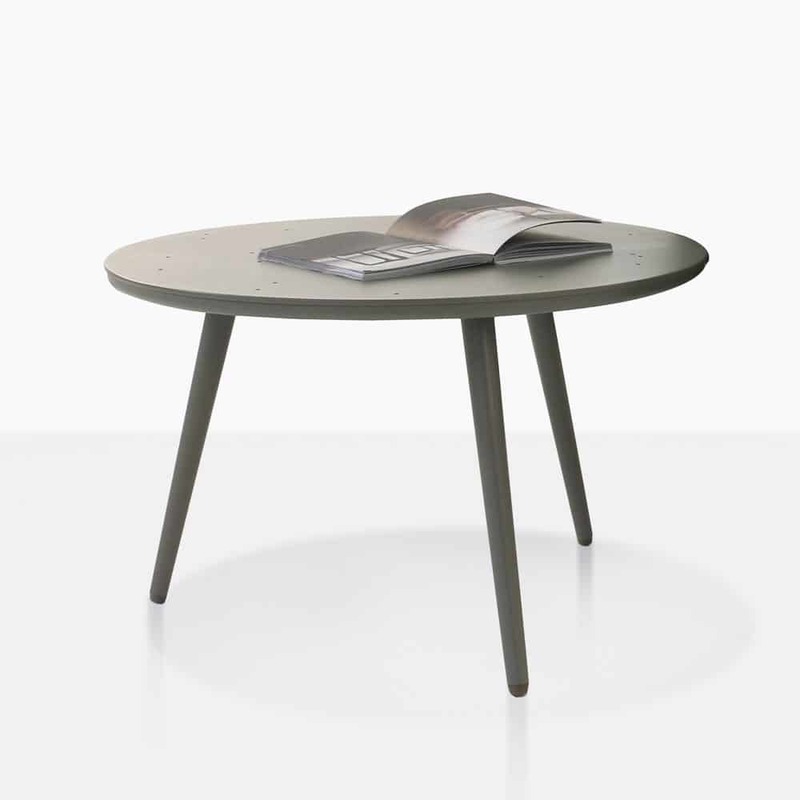 Add a contemporary and stylish look to your outdoor or indoor living space with the Ida Outdoor Coffee Table in a warm grey color. 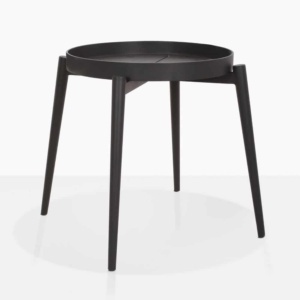 It has a sleek design and rounded tabletop that sits upon 3 angled legs. It is made with powder coated aluminum, and this makes it strong, sturdy and durable for outdoor use. 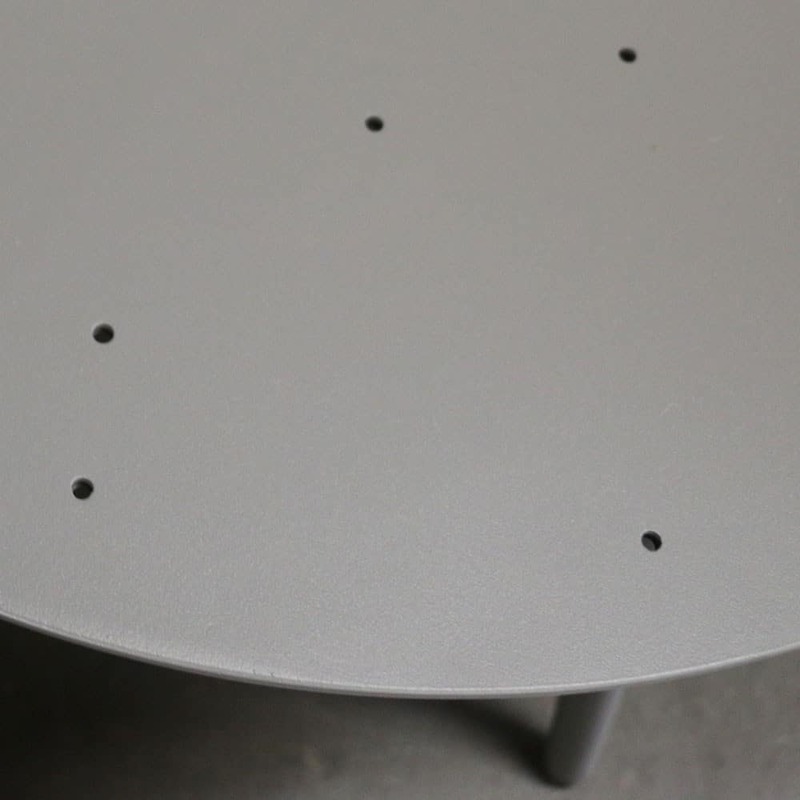 There is a unique pattern of small holes on the tabletop, these not only make the table top more interesting, they also provide drainage for when there is heavy rain. If you would like to learn more or have questions about the Ida Outdoor Coffee Table, please call us today. 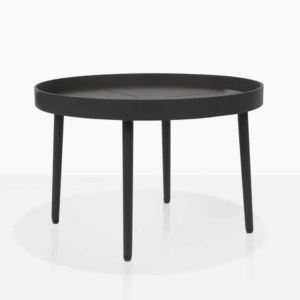 The Ida Round Outdoor Coffee Table is not as large as some coffee tables, which also makes it perfect to use as a side table. Or get creative and add several Ida tables to the center of your seating space for a cool geometric look. The warm grey color allows it to be paired with many other types of furniture. 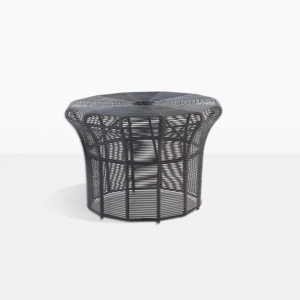 It goes lovely with black aluminum deep seating or it can be used next to one of our fabulous rope club chairs. 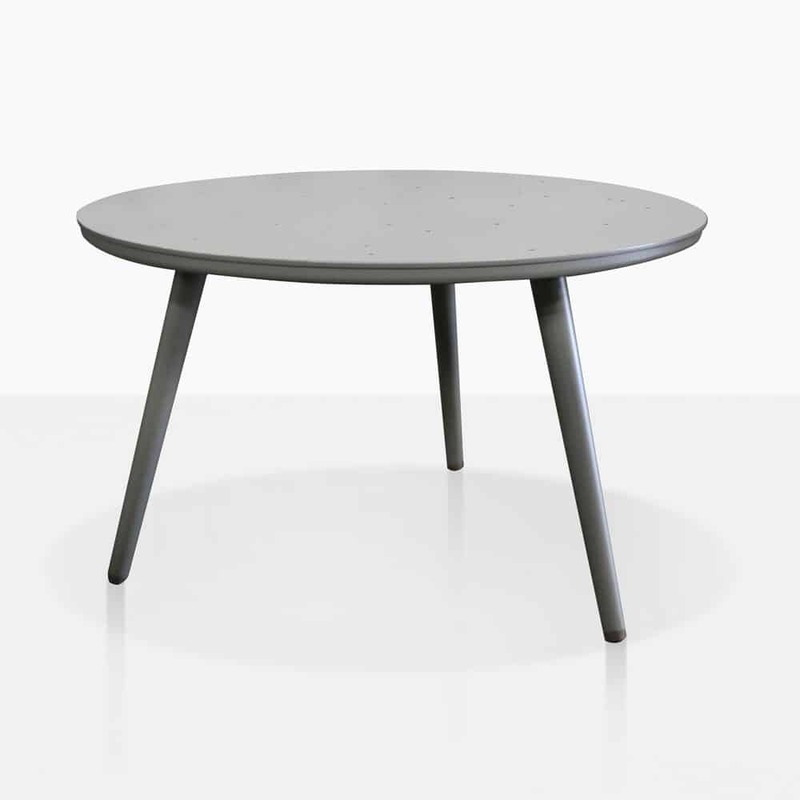 At Design Warehouse we have a large selection of side tables and coffee tables. There are so many different styles to choose from. We offer a-grade teak, reclaimed teak, aluminum, steel, wicker and concrete outdoor furniture. Start exploring our online catalogue and get inspired to redesign your outdoor living space.